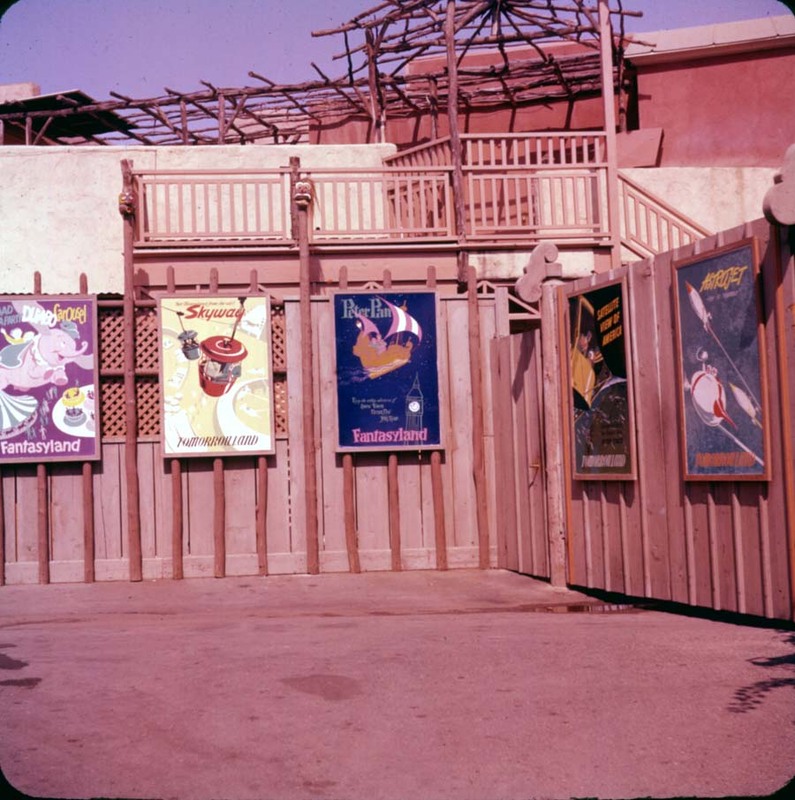 There once was a time when attraction posters had a real purpose at the Disney parks. 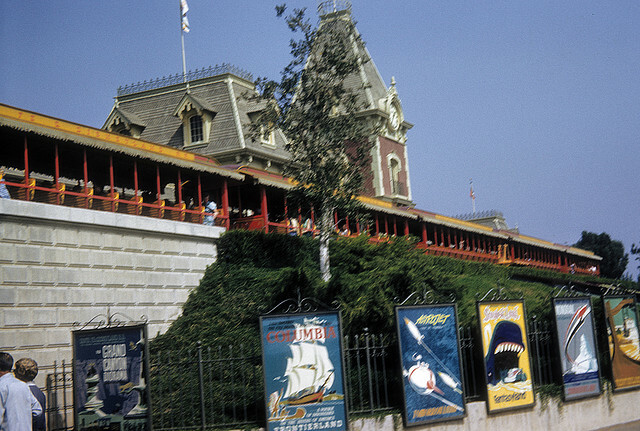 When Disneyland first opened in 1955, visitors would pay a small entry fee of just $1.00, but this was in addition to having to purchase ride tickets varying in cost depending on how exciting the ride was. 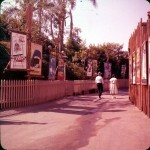 Because of this, the park’s attractions relied heavily on word of mouth advertising in order to gain popularity. To perpetuate that momentum, attraction posters were used to entice new visitors to visit certain areas of the park. 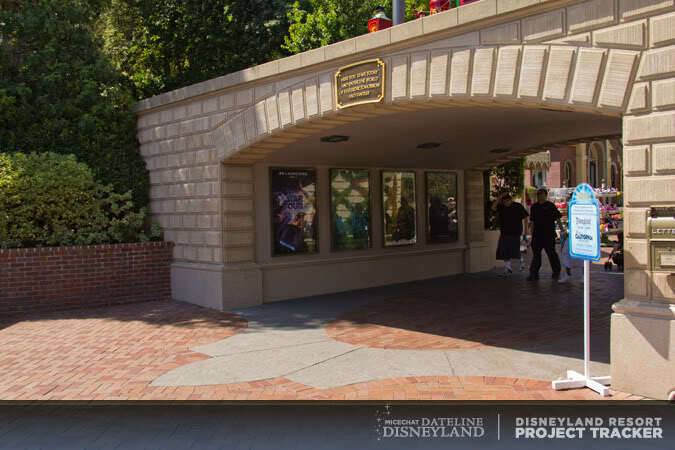 In the early days, these posters lined the fence in front of the famous Mickey Mouse floral arrangement and were seen prominently in other areas of the park, whereas today, they can only be seen as you walk through the tunnels going into Disneyland. 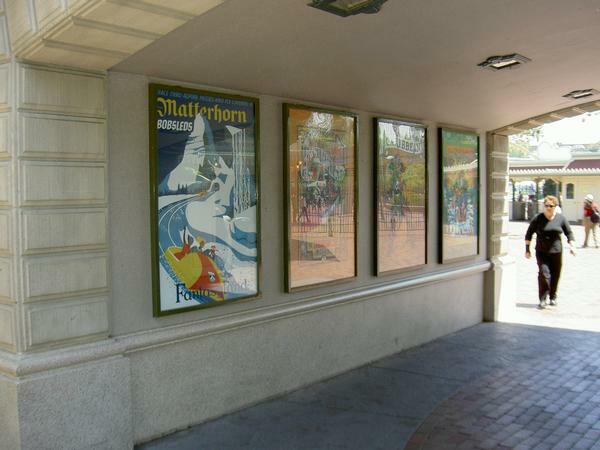 Other Disney parks have used attraction posters at some point in their existence and may still display some today, but none have used them to the extent of Disneyland. 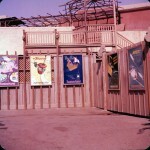 A Disney blog called Stuff From The Park shows us what a more elaborate use of these posters looked like. It appears that Adventureland was undergoing some construction at the time, but Disneyland wasted no space in displaying their artwork! Sadly, many people walk by them today without a second glance. Of course, they’re not really needed much anymore thanks to Disneyland’s well-known history and the fact that you no longer have to purchase ride tickets separately, but they are a lovely reflection of Disney’s artistic past. As you would imagine, Disney and even art collectors have long sought original Disney attraction posters for their collections. These posters came in the very unusual size of 36″ x 54″ and were silk-screened by hand. Depending on the condition as well as what attraction is depicted in the poster, they have commanded prices of $5,000 or more! If you’re interested in finding a cheaper alternative, you can actually have a copy of your favorite poster printed on-demand from the Disneyland resort. 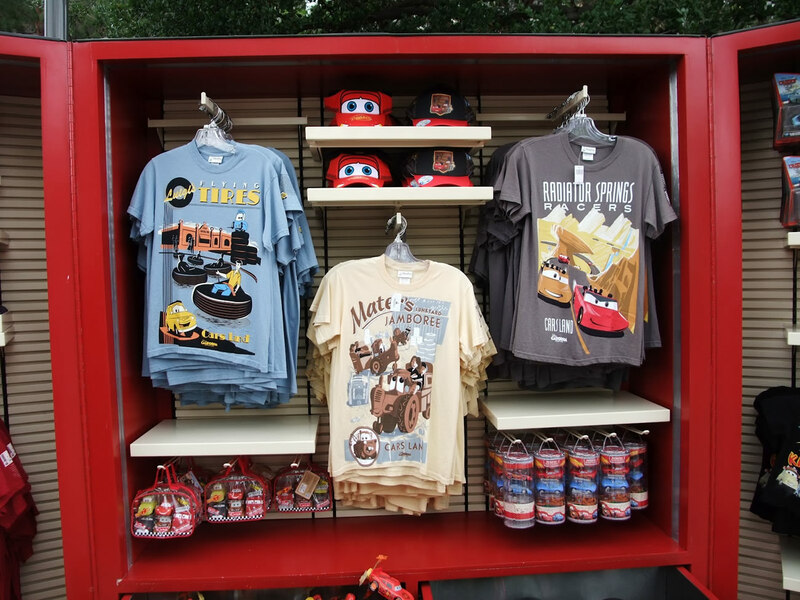 In both the World of Disney store in Downtown Disney District as well as inside Disneyland Park, you can find small kiosks that enable you to print many pieces of Disney art including attraction posters. Although you can get these printed in many different sizes as well as your choice of paper stock (or canvas) and frame options, the largest print you can make is 27″ x 40″, which is the standard size for movie posters these days. Getting the original sized poster is difficult, but not impossible. 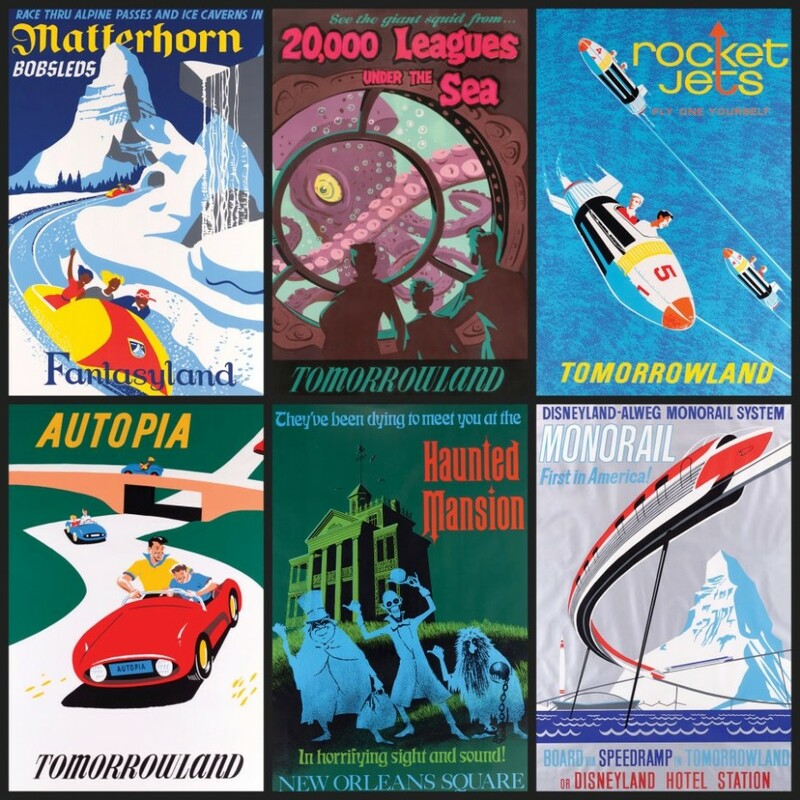 Serious collectors are aware of a limited edition series once printed at the Disney Gallery in Disneyland that reproduced the attraction posters in their full size. From what I understand, these posters were printed separately during a short run, sold for around $100 and when a particular attraction print was depleted, it was no longer available. While these versions do not have the same prestige as owning an original silk-screened version, they have been known to sell for hundreds of dollars! Being diligent on eBay can yield you both an original silk-screened version or a full-sized replica from the original Disney Gallery. While you’re at it, you may want to check with Phil Sears to see if he has come across any. 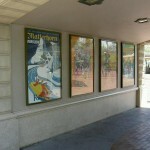 Not only are these reproduction posters no longer in print, but the Disney Gallery is no longer there! It was once located above the Pirates of the Caribbean queue and has since been moved to Main Street after being replaced by the Disneyland Dream Suite—a place where I’d really love to stay sometime!! 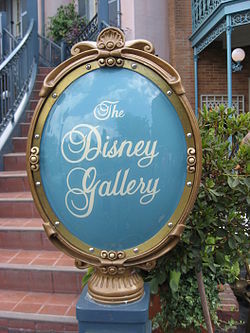 Because the Disney attraction posters not only have a rich Disney history, but also an art history, a wealth of information can be found online and in books. One such book that has recently been produced is called Poster Art of the Disney Parks. This book explores just about every single attraction poster created from the beginning up until today and discusses the process of creation as well as shining a little light on the history of these fine pieces of art. 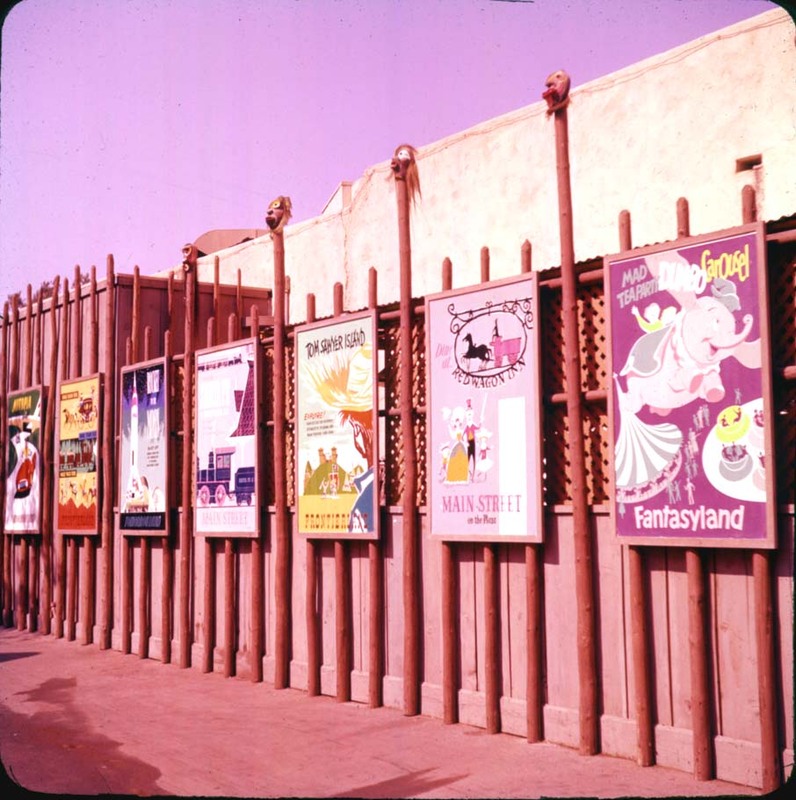 If you’re curious to see the many types of posters, including many that are no longer seen at the parks, check out the Disney Attraction Posters Pinterest board. 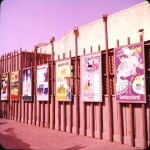 Along with these images, you’ll also see a number of posters used to help advertise the park in general. 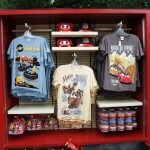 Copies of the most popular attraction posters have made their way onto Disney merchandise as well including pins, t-shirts, postcards and keychains. Even Disney California Adventure has joined the party! Today, attraction posters are still being designed and used throughout the parks, creating a nostalgic feel that only a Disney park could deliver. If you can’t make it out to the Disneyland resort to get your own copy printed, feel free to let me know. I am at the parks quite a bit these days and would be willing to get a copy printed and sent your way…for a small fee of course. 🙂 Do not waste your time purchasing these prints from eBay as most of the auctions attempt to sell the print on-demand copies for a huge markup! To give you an example, I purchased a 27″ x 40″ print of the Matterhorn on canvas (most expensive option) for $175, while online, people are attempting to sell them for almost $240 shipped. Contact me and the next time I’m at the resort, I can quote you the most current price with available printing options and can get one for you. how do you tell an original from a limited reproduction if they are the same size? From what I’m told, the main difference is the feel of the ink. The silk-screened originals feel almost 3-dimensional because with silk-screening, every color has to be laid down individually. This causes a sort of “stacked” feel as some colors overlap each other. I have never seen or touched an original in person other than viewing them through the frames at Disneyland, so I can’t verify this. Another thing to note is that when viewing them in the parks, they almost look like they were printed on some type of fabric material. I know it’s not canvas, but it doesn’t exactly look like paper…maybe someone can come along and add to this for me! I own both original Disneyland attraction posters as well as several of the full sized reproductions fromt he 90’s, it is very easy to spot the difference. The originals are silk screened, this means that each color of ink wa shand applied separately. If there are 10 colors of ink then the post had 10 individual passes of ink. If there are 20 colors then it had 20 passes. The posters from the 1950’s tended to limited the colors to just a handful while later posters (getting into the 70’s) would have dozens of colors. When you look at an original silk screend poster you can see that there is no “dot pattern” as seen is four color offset printing (the method commonly used in mass printing and used on the reproductions). You will only see pure pigment, pure solid color as if it was painted. The reporduction posters use common 4 color offset printing in which four colors (Cyan, Magental, Yellow and Black) are printed as tiny tiny dots, the combination of these dots create the appearance of any color but it you look under magnification you will see thousands of tiny dots using only those four colors. It is very easy to spot the difference even with your naken eye but any type of magification will instantly reveal the differences. Other ways to tell are that the repoductions tend to have a softer, almost slightly out of focus look while the oriignals are incredibly crisp and sharp feeling. Also on the originals you can see areas where the different color inks overlap each other creating a thicker section of ink. These “mistakes” where the inks overlap are actually my favorite parts of the originals as they feel incredibly hand made and unique that way. I saw your post. And you are absolutely correct on all of your specifications and information. Glad to see collectors still care about spreading appropriate and helpful insight into these beautiful relics that once adorned so many parts of the magic kingdom. I was curious if you have any for sale, as I am a collector myself and am interested in buying extras (or not extra) if anyone is willing. Please email me at joseph@pacificgreenus.com if you see this message. Thank you kindly. 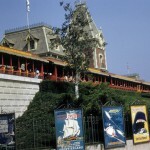 Thank you all for such great information on original Disneyland attraction posters. I have recently been collecting original Disneyland attraction posters and have come across some without the Walt Disney Productions copyright printed on them. They are a silk screened poster but without the copyright. Were any of these posters ever printed without this copyright on them? I honestly don’t know if any of these posters were printed without the copyright on them. Are they the full size prints? I have some duplicates of my collection of original Disneyland silkscreen attraction posters, which i am willing to part with. Please beware….they are not cheap! But they are all in fantastic condition, most on linen mounting. If you are interested, use the “CONTACT” form on my website. I have a few myself, but this post wasn’t about what I owned. It was just a commentary on the posters in general. 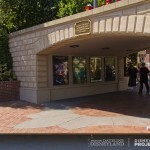 I know you posted this about four years ago, but I wanted to quickly see if you’d still be willing to help in purchasing of Disney attraction posters? My husband and I just returned home (not 12 hours ago haha) and I have always wanted to purchase attraction posters in the past. I had no idea you could and didn’t discover the little shop until the very last minute when we were leaving the park to catch our flight back to Canada! Shoot! I looked online, but as you mentioned, there is no where truley reputable to purchase from and I would rather go straight to the source, even if it means a little extra cost.